Robert is a car salesman speaking with Mary, a potential buyer. 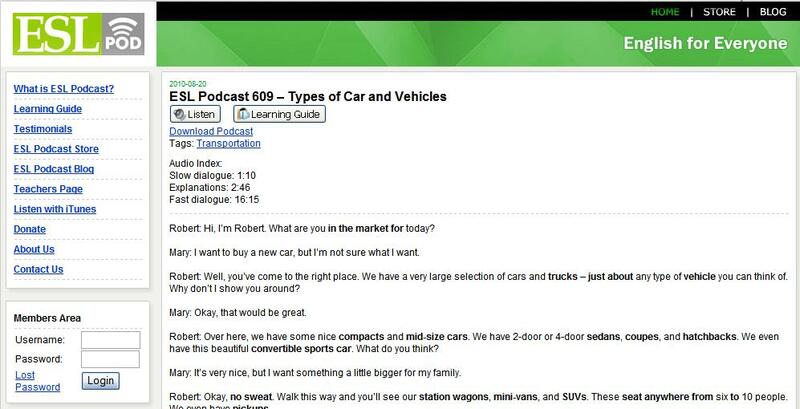 They discuss her needs in order to find the perfect car for her lifestyle. Listen to the slow and fast dialogue of the podcast while following along with the transcript. This podcast includes explanations of highlighted words to help you expand your vocabulary, especially regarding slang terms or everyday phrases.